There are many types of Rickenbacker lens found in many different types of headlight drums. 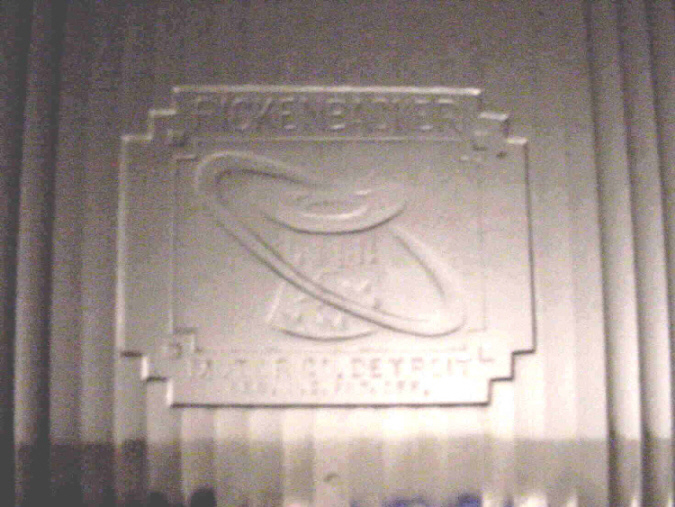 Which is surprising since Rickenbacker was only in business for seven years. One that really sticks out was made by Monogram Headlight Lens Company. 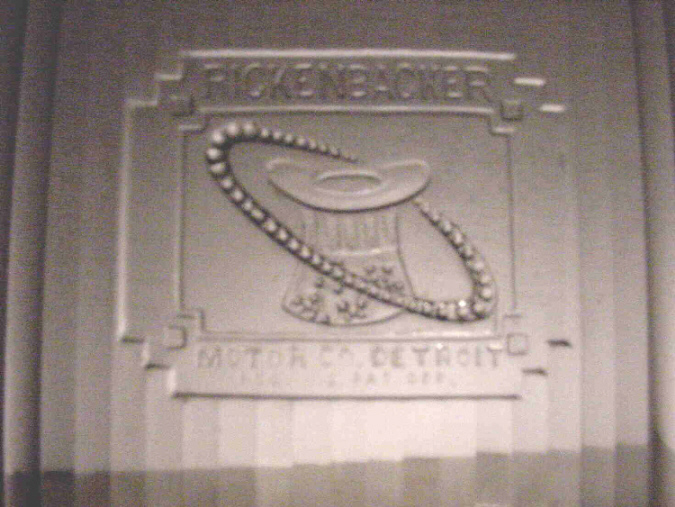 Many don’t know they made two different style of lens for Rickenbacker cars, but both used the same logo which was found on early Rickenbacker cars. This picture to the left shows the basic 1922 and early 1923 logo embossed into the center the lens. This is the most common lens found today. These can be found still today from time to time on ebay and at swap meets. The lens displayed to the left here is the second lens that Monogram made for Rickenbacker Cars. This one is just a little bit different. The ring around the hat is made with little glass beads. This lens is much more rare and doesn’t turn up to often!!! It’s not known if these lenses were sold from factory installed into the headlight drums or these were dealer installed items. It’s our guess that they were dealer installed items because these lenses aren’t listed in any parts manuals.